How far can you see? 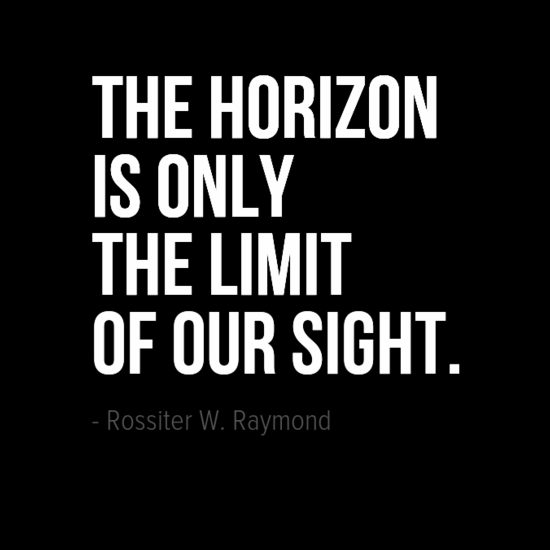 American mining engineer, legal scholar and author, Rossiter W.Raymond, reminds us that the horizon is only the limit of our sight. Rossiter W.Raymond was born in Ohio, USA in 1840. He was an American mining engineer, legal scholar and author and is best remembered for a poem titled ‘Death is Only an Horizon’ from which the above motivational quote paraphrases.